BARY HARTMAN taught thirty-six years, of which the last eleven years were in the Blue Valley School District. He received the Associate of Arts degree from Graceland University and the BME and MA degrees from Central Missouri State University. His Specialist degree work in Music Education and Administration was also from CMSU. He has done extensive work on the DMA in Music Education and Conducting at the UMKC Conservatory of Music. In addition to conducting bands on two European tours, Mr. Hartman has appeared as Conductor/Performer at eight state Music Educators Conferences. In 1991 he served on the staff of the John Philip Sousa National Honors Band in Washington D.C. From 1992-1995 he was the Music Director and Conductor of the Raytown Community Band. Mr. Hartman served five years as Associate Conductor and Conductor of the Western Missouri British Brass Band and has recently completed a three-year term on the Board of Directors of the North American Brass Band Association. In 2004 Mr. Hartman received the Sunflower Award from the Blue Valley Educational Foundation for living the Blue Valley Virtues: Respect, Responsibility, Honesty, Self-discipline, Compassion, Courage, and Perseverance. 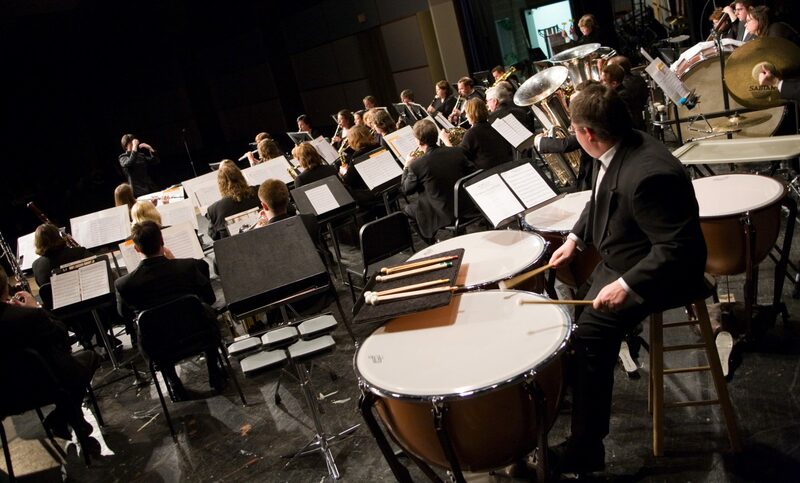 Professional affiliations include Phi Mu Alpha, Phi Beta Mu, KMEA, KBA, NEA, and NABBA. Mr. Hartman and his wife Lynn have two children and answer to “Schrampa and Grandma,” which is how their grandchildren Kailynn, Collin, and Madalyn refer to them. Their daughter Susan is the lead fifth grade teacher at Robinson Elementary in Raytown, and their son Brian is Director of Choral Activities at Lee’s Summit West High School.